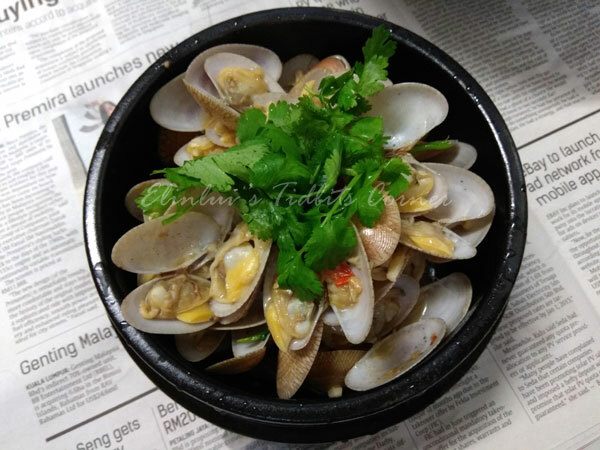 Yesterday we had sea clams cooked our favourite style. Savory stir fry is most favored style though we do have them cooked in wine at times. We saw some nice large meaty ones at the wet market and we could not resist and bought half a kilo back and we had a great dinner with this mouth watering dish. 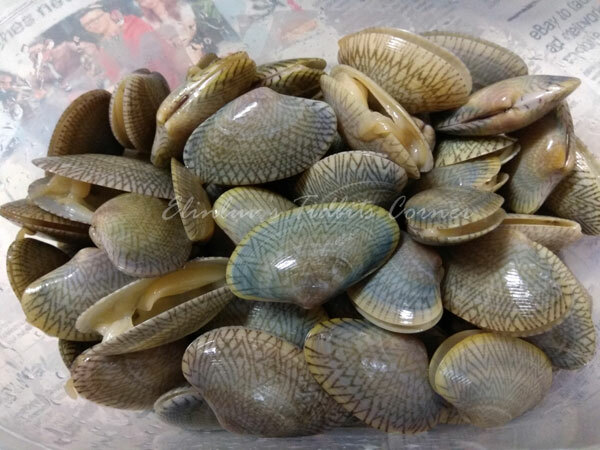 There are many ways to cook this sea clams, I have yet to try cooking them in Thai style. Seafood is my favorite food if compared with meat. 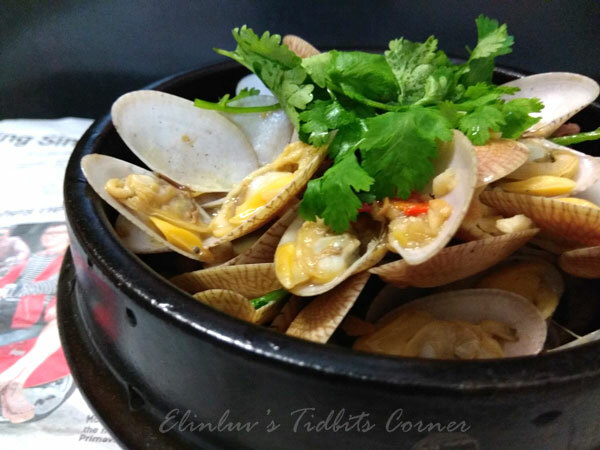 I know I have to control my diet on seafood but it will be nice to indulge in them once in a while. The self appointed dietitian ( the Wildboar ) will be there to monitor my purchasing of seafood * snickering . Anyway, this style of cooking is classic and most people knows how to cook this. Savory and flavors packed. Absolutely delish! La-la are my favourite too...love them cooked in any style. At one of the restaurants we frequent, they have spinach soup wth la-la...simply yum! Wow I love lala. 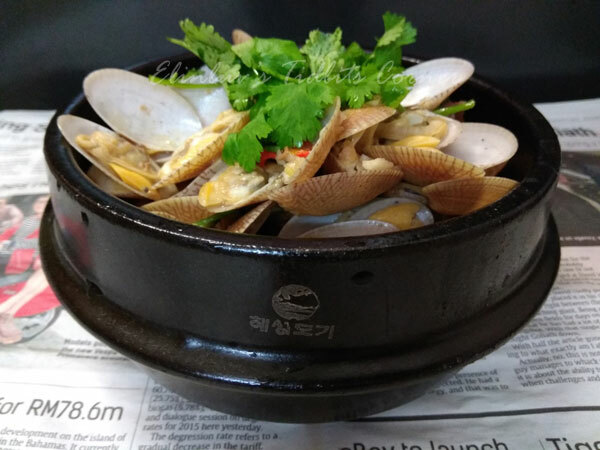 How would you know the clams are meaty though, when you see them raw? Oh, I don't really know, I just trust the seller and I normally buy from my regular stall. Normally large sized ones are meaty.